Cloud computing has been around for some time already and if you haven’t moved your business to the cloud yet, you’re missing out. We are all using cloud-based services and apps these days. In fact, you’re probably already using a couple without realizing it. Such as social media, email, online banking, phone apps, etc. 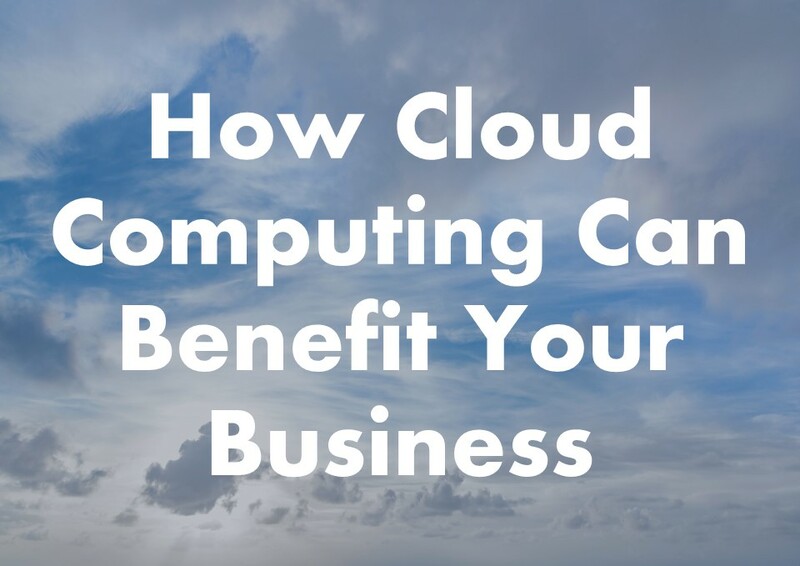 Have you considered the multiple benefits that cloud computing can have for your business? Your bottom line will love you. The beauty of cloud computing is that it cuts out the high cost of software as well as the additional costs of ownership (hardware, support,etc.) saving you huge capital expenditure. It’s very easy to sign up for a subscription-based service that will suit your cash flow and the setup process is usually very simple, reducing the cost of implementation. Unless you’re spending a lot of money on employing IT professionals to maintain your local servers and systems, there is a very good chance that your data is more secure in the cloud than on your local computer. Reputable service providers have experienced IT professionals maintaining their platforms ensuring that your and all their other clients’ data is safe and secure. Cloud services generally include robust recovery tools. These cloud-based backup and recovery solutions save time, don’t require any large upfront investment and include IT expertise and support as part of the deal. And, because your data is stored in the cloud, you still have access to it no matter what’s happened to your computer or laptop. Cloud services are generally very reliable. Your data is available to you whenever, wherever you need it. There is usually no to very little downtime. Most service providers schedule maintenance downtime at night so that your operations are not affected. Cloud services are often integrated with other services, making it easy for you to expand your systems and tie them all together without having to duplicate data and scale up data storage facilities. Cloud-based services are ideal for businesses that are still growing. You can scale your services to suit your operational requirements. Most services offer different products depending on your requirements and it’s easy to upgrade or downgrade as the need arises. Service providers typically won’t lock you in for more than a year at a time, some even just a month at a time. Service providers take care of software updates for you. Cloud-based programs generally have more regular updates to address software and security issues. 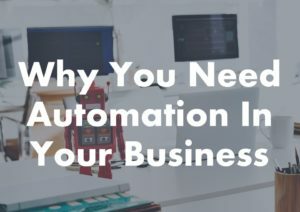 The updates are automated in the background and you don’t have to worry about maintaining the system yourself. Leaving you free to focus on growing your business. Your team is able to work together in real time. Because everyone in the team can access documents and programs simultaneously, they are able to do more and work faster. No need to hold up productivity with copying and sharing data files or documents through email or hard copy. It’s right there in the cloud and can be directly accessed by anyone in the team. You can work from anywhere, as long as you have a network connection. Most cloud services offer mobile apps, which means that you’re not restricted by which device you’ve got on hand. Your team can stay productive even when they’re not at the office. Before the cloud, your team may have had to send files back and forth as email attachments to be worked on by one user at a time. Sooner or later you ended up with multiple versions of the same file with conflicting content, formats and titles. And then someone had to figure out which is the correct latest version of the document. When you move to cloud computing, all files are stored centrally and everyone sees and works on one single version of the file. Moving to the cloud gives your small business access to enterprise-class technology and it allows you to act faster than larger more established competitors. Your business can compete with the big boys, disrupt the market and remain lean and nimble. By moving to the cloud you’re also reducing your business’ impact on the environment. By keeping your data and systems in the cloud you reduce the need for server hardware. You’ll also reduce printing costs because documents can be viewed online or shared directly from your applications. There are many benefits to moving your business to the cloud as you can see above. Even if you’re only motivation is cost saving, it’s clear, you need to get moving now. Have you moved to the cloud yet? Why not? Let us know in the comment section why you haven’t yet moved your business computing to the cloud. Or, contact us directly for assistance in making the move.